Jack Bauer's back, and he's just as great as ever. 4 years ago acclaimed television series 24 ended, after 8 seasons, with a whimper. Tonight Jack Bauer returns in a brand new London-based 12-part series on Fox. Following the success of Game of Thrones on Sky Atlantic. 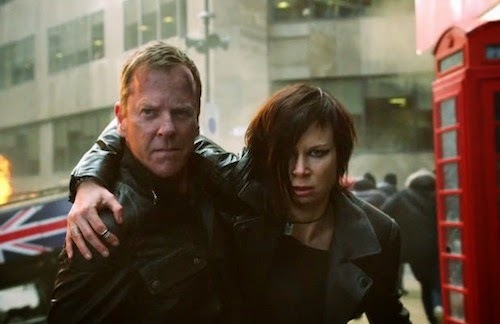 UK broadcaster Sky will simulcast the US premiere of 24: Live Another Day on Sky1 at 1:00AM Tuesday morning. Then the new series will be shown at its regular time of 9:00PM Wednesday. Jack Bauer fans without Sky can watch the new series and much more on NOW TV.